Acrylic Template for use with our Animal Snowballs and Lullaby Blanket Babies Sets. Our 1/8" thick transparent acrylic templates can speed up cutting out the panels used in our Animal Snowball Set and our Lullaby Blanket Babies Sets. 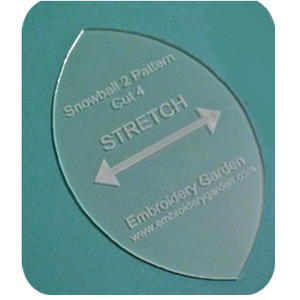 Acrylic templates will help you to cut more accurately especially when creating lots of snowballs, but are not necessary for completing them. Our Lullaby Blanket Babies sets are sold separately.